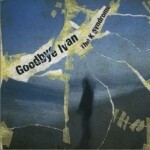 Goodbye Ivan is a project run by Arnaud Sponar. 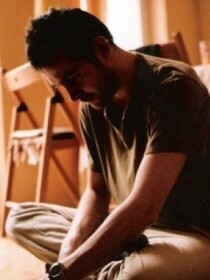 French multi-instrumentalist coming from twenty years of extended musical experience, involved in researching different musical styles and performing in the bands Opak, Dice, and Les Poissons Autistes, among others. Whether you are escaping trams in the center of Prague, getting lost in experimentalism in Berlin or on the verge of making drastic changes to your life in St. Petersburg, this music evokes all of these experiences. Cinematographic and melancholic, the music of Goodbye Ivan exposes voids and experiments with space. It is music for wandering into new, unknown spaces. On stage, Goodbye Ivan combines the melodic sweetness of a Rhodes piano, a rocking and emotionally edged acoustic guitar, and a symphony of random sounds, percussions and xylophones. Sometimes, it can be seen with an unconventional and piercingly sweet cello, played by the accompanist Sara Oswald. The result is a mixture bound to inspire both tears and the smashing of furniture.